Calling all people in Perth. 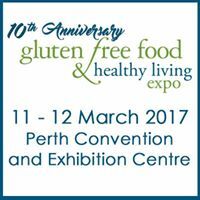 Make sure you come along to the Gluten Free Food & Healthy Living Expo at the Perth Convention and Exhibition Centre. 11th and 12th March 2017. You will be able to try free samples of our 100% gluten free O’Brien Beer. You will also be able to make off-premise purchases of packaged O’Brien Beer. We will have our AIBA GOLD medal award winning O’Brien Brown Ale and O’Brien Belgian Ale there for you to sample. Plus many of our other favourite O’Brien Beers. O'Brien Stout - The wait is over!